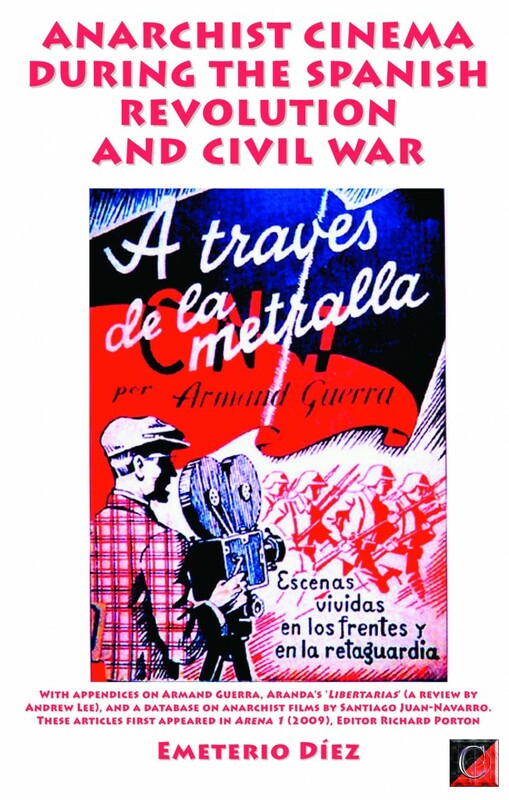 ANARCHIST CINEMA DURING THE SPANISH REVOLUTION AND CIVIL WAR by Emeterio Diez* — with appendices on Armand Guerra, Aranda’s ‘Libertarias’ (a review by Andrew H. Lee), and a general database on anarchist films by Santiago Juan-Navarro. These articles first appeared in Arena 1 (2009), Editor Richard Porton — LOOK INSIDE! *Emeterio Diez is a Spanish historian specialising in Spanish cinema whose published work has appeared in Archivos de la Filmoteca, Secuencias, Cuadernos Hispanoamericanos, Cuadernos de la Academia and Historia 16. Richard Porton (editor), author of Film and the Anarchist Imagination, teaches cinema studies at New York University, writes on film for a variety of publications, and is on the editorial board of Cineaste.